Discussion in 'Wireless Buying Advice' started by thannon, Mar 25, 2019. We have an old Linksys dual-band router from the Cisco era that is no longer adequate for our needs. The above are usually all used at the same time in the evenings. It appears we are having an RF contention issue manifested as buffering or halting of video streams in the evenings when all devices are vying for available bandwidth (I have already determined this is not due to any limited WAN thru-put from ISP). So... I was hoping for a recommendation for a WiFi router that would suit our current and future needs that would probably only be replacing current hardware with newer Apple TV and/or Notebook products. (I realize Apple is not on the cutting-edge of hardware technology, but I like the stuff because it works; so, please refrain from any critique in that regard). I have read considerably about tri-band and multi-stream technologies finding a lot of marketing mumbo jumbo. I came across this website and appreciated the articles and reviews written by Tim Higgins; particularly with regard to not buying a wi-fi router with features and capacity that I will never use. We definitely don't need anything cutting edge or over-rated for our needs. My main desire is for the Apple TV streaming load at the further distances to be satisfied and hopefully still service the closer MacBook Air streaming requirements. I am a software engineer and appreciate the simple administration web interface of the Linksys platform. I would not use router configuration over RF and prefer access over a wired connection thru one of the ethernet ports. I don't really desire a mobile phone or tablet app. It appears ASUS, Linksys, Netgear, TP-Link, and some others are the major players for home users these days. I realize there may be some brand zealots out there and I can appreciate your allegiance. However, I am looking for the brand that best suits my particular requirements with a reliable solution of which I can depend on as I would my toaster or coffee-maker. Please advise. A toaster or coffee maker would make for a very poor router. And even a preschooler can learn to operate one of those. Routers need to be a little more sophisticated. Asus with RMerlin firmware is my recommendation. Along with Adaptive QoS enabled and the FreshJR QOS script installed too (no USB drive needed). Specifically, the RT-AC86U flashed with RMerlin's latest 384.10 firmware and then properly reset and configured (see my signature for details) is the best router to buy today. 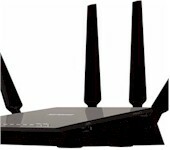 I would also recommend that any router you do buy, you need to locate it more optimally in the areas of use. 17M and 3 walls (and most likely behind a TV) will be a challenge for any router. I would also recommend that you wire the devices that you can (Cat5E or better) directly to the router (use a switch if needed). With regards to the TV's, this is one case where a few PLE adaptors may work very well (even if I don't generally recommend them for AP or computer connected use) while simultaneously taking the load off the WiFi radios for the other wireless client devices too. The DHP-P701AV Powerline AV2 2000 Gigabit Passthrough Starter Kit is a good option that I've used in applicable cases. You are not using enough devices to be considering a Tri-Band router (though, that is a marketing misnomer it's still only two bands with three radios ). 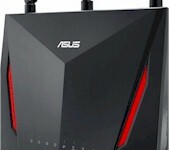 In my opinion and a few others here, Asus is the major player when all aspects of a modern router are considered. The most up-to-date firmware and utilities/drivers (from Asus), the most bug-free third-party version (RMerlin fork), and the great scripts that can be used for the price of a spare USB drive. Not to mention the longest support possible for any specific model directly from Asus too (and let's not forget the excellent work john9527 does with the LTE RMerlin forks for the 'older' routers too). Even though the RT-AC86U can be considered overkill for your current devices and usage patterns, it is the wisest buy for the long term, today. This is not a 'fanboy' that is recommending the above and my allegiance is to my customers (or I don't eat). This is someone who has been directly helping customers for many years now get the best wireless and wired experience possible. I have used almost all manufacturers routers for these customers and the ones that they most regularly keep are the Asus products. The few that did stick with other manufacturers are converting too. All it takes is a well set up Asus model to trial in their networks to show them what they may have been missing. Finally, I recommend you try a few different routers, including the one I suggest. Also, do as much of the other optimations (above) that are possible before you even buy a new router to test drive. You may find that you don't need to upgrade too far or at all from where you are now. In reference to the toaster or coffee-maker... dependability/reliability is my desire and not necessarily simplicity of configuration. I realize these are complex pieces of equipment and may require a more "advanced" administration; that of which I am prepared to do. We get 100 Mbps download from our ISP over wired connections (as measured by Speedtest.net) and I just measured 65 Mbps on my MacBook Pro at the 10m range thru 3 walls and am getting 10 Mbps upload over both. We are on a 100 Mbps ISP plan from Cox and could upgrade to 300 Mbps if necessary. I realize wired connections are preferable, but not necessarily practical depending on where the RJ-45 jack is located in the room. Our house was pre-wired with Cat-5e and I really do not want to string any additional wire unless absolutely necessary. Currently, my wi-fi router is located near the wiring panel so I can connect the wired ports. I probably could move it to a more central location, but then I would need to get a Gbe switch. I suppose a 4 or 5-port model would do and any recommendations would be appreciated bearing in mind I have Cat-5e cabling and probably will not come anywhere close to G-bit speeds (no need for V-LAN, management, or anything fancy). Back to the main desire... I would prefer to go the wi-fi route (pun intended) for the Apple TVs if it will suffice due to the convenience. I appreciate any additional input and thank you for that which has already been given. Sounds like you have a two-stream N router. 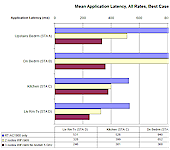 So moving up to any AC router is likely to provide noticeable improvement. If your router can be placed close to the center of the desired coverage area, you may be able to get by with a single four-stream AC router. NETGEAR's R7800 is my suggestion here. If the router must be located at one end of your home, you might try a mesh system. NETGEAR's original Orbi (RBK50 I think) would be my suggestion with just one satellite. A tri-band router can help in cases where some of your 5 GHz devices are located far away from the router and others are much closer. Putting the farther away devices on one radio and the closer on another will optimize airtime use and minimize bandwidth loss. RogerSC, umarmung and L&LD like this. The brand that suited an all apple home the best, well is still apple! apple did put out a blurb about what they think are great replacements, but i'm not sure anyone's read it. obviously, the people with lan wire in place move to ubiquity ap's with an edgerouter pro. many have moved to mesh, despite its deficiencies. what some are doing with all apple homes who didnt already have airport extremes, well they are begging their othe wealthy friends for their old airport extremes, and installing wherever they had lan terminations. IT JUST WORKS! it hands off well as you roam the home! and it's fast, unbreakable, and un-hackable. and it's free! updated for Krack exploit; apple will also update for anything major into future. 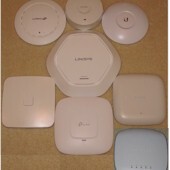 if no one will cooperate giving you theirs, they're ultra cheap on ebay, and usable into the time when you turn over all your clients for new wifi6 adapters, then need router with wifi6. often the simplest cheapest solution was the solution all along. ps: the tested $28 PHICOMM k3c with a $10 ethernet switch for more ports, and if needed a tp-link extender RE200 $14 used, will also work great! you get AC, then, change to better when more wifi6 stuff comes in & you have a bunch of new macbook pros! That is a great advertisement for apple! When I had an airport extreme, I gave it away because the 'performance' was painful. Wired or wireless, range or throughput. An older R7800 or a newer RT-AC86U (recommended) will make those AE's seem like they're from the prehistoric era. Dave Parker and CaptainSTX like this. I believe that you may have to upgrade your ISP service to provide adequate streaming for all your devices at peak times. This should be the last thing to do though (there are many other things to optimize right now). I don't know of any customer that has regretted wiring a fixed location client device. Everything just works so much better. Unless there is more than a single cable run to where you can have the router centrally located, this won't work with just a GbE Switch added. If you do have a location where at least 2 Ethernet cable runs exist (or, they are on the same wall, even if currently exposed to different rooms right now), then adding a switch with 4 or 5 ports should greatly improve your network. You need to connect the modem/ONT to one Ethernet cable run to the WAN port of the router and then you need to connect one or more Ethernet cable run(s) to the LAN port(s) of the router to go back to the switch and have the network available for your other wired devices. This is a reliable switch for your consideration. Any switch you buy should be a GbE capable switch. Don't fool yourself that you need something less, regardless of what you are currently using for clients and/or ISP. At these prices, it isn't a wise choice in either case to buy anything less than GbE. I think that if you can move your router to a more centrally located position and you also experiment (if needed) with the optimal orientation of the router antennae too, you may find that your current setup is adequate-enough already. Putting a newer AC class router in the same location will give you an idea of what your current ISP's provided speeds may still be missing (for your simultaneous streaming needs). If you do need to increase your ISP speeds, a new router is recommended to take advantage of the latest available higher processing power, greater RAM and other RF (design) benefits that translate into a much more responsive network vs. the older router you have now. You are most welcome. Glad that I can offer my help. Edit: provided correct link to 10/100/1000 Switch. The 5-port switch linked is only 10/100 and not GbE. This is what "comcrap" hands out (free of charge). I believe that you may have to upgrade your ISP service to provide adequate streaming for all your devices at peak times. Netflix, Hulu, YouTube consume about 5 Mbps for HD. A 100 Mbps pipe can easily handle that. If you are streaming Netflix "Ultra HD" on all devices (Netflix recommends 25 Mbps), then maybe an upgrade is needed. I see we linked the same (correct) version too! If you need a cheap gig switch I bought 5 Dlink 5 ports at Fry's for less than $20 each. They have been running for several months now with no issues. They are at my daughter's business. I use a Cisco switch for my core switch which the Dlinks plug into. So the Dlinks are doing light duty work but they seem to work. I prefer Cisco but my daughter did not have the money for Cisco switches and we needed a lot of them. Merlin firmware for Asus has continuous bugs, just watch these forums! This has already been addressed! Asus routers not affected. Yes, we have 100/100 internet here, with internet TV, lots of Apple mobile clients, laptop and desktop, backup to the cloud, etc.. Haven't run out of internet yet *smile*. I do make sure that we're not streaming UHD, of course, don't want to hit our data cap *smile*. I will say that back when we were with Comcast, we did run out of internet...it was a 150/5 plan, and we used to run out of upload capacity occasionally. Ridiculous. Should I be concerned about any Netgear equipment considering the statement, "Netgear has tons of unfixed security vulnerabilities"? Would this be the case with current software updates for the NETGEAR R7800 recommended in earlier post? I would be. Sorry, the 'recommended' from me would be the RT-AC86U in the post above. The R7800 was in there for its great performance characteristics (wish the firmware was at the same level too, security-wise). I'm not too familiar with Voxel's firmware for the Netgear routers, it may be up-to-date(? ), on that fork. What I mean to ask... is Netgear known to have tons of unfixed security vulnerabilities? Where would I find that information? More to the point... security is number one priority for me with performance behind that. I'm not interested in the best performing wi-fi router only to be plagued with security holes worse than swiss cheese. I wish I could find the post for you directly from RMerlin in which he stated that the drivers/utilities included in firmware was very old, buggy and out-of-date (security issues, right there). Except for Asus' firmware. Not that it was pristine, but a lot better than other manufacturers, including Netgear's. I have tried searching, but can't locate it. Another aspect I don't like with Netgear is that as soon as they introduce a new model, the older ones are mostly ignored. With few, if any further updates released. And even when they are released for an 'older' router, the inherently insecure old/ancient packages are not updated then either. Asus' track record is exemplary in this respect, with models regularly receiving updates for years after first being available on the market. Add the fact that RMerlin's fork additionally updates packages and fixes bugs, including optimizing the features and performance available, it easily stands head and shoulders above any other router I've used with regards to security, performance, features, and stability. Of course, at the rate that new exploits are discovered daily now, that doesn't mean I blindly trust an RMerlin powered Asus router, except in contrast to other manufacturers offerings. The available options within the firmware, the scripts (and the fact that scripting is possible, with RMerlin firmware) and mostly the generous people here in the forums who give their knowledge and time so freely to helping others, is what really makes me feel that Asus and RMerlin is a combination that we are very fortunate to have available to us. This environment, as a whole, is what makes me feel much, much more secure while also having the performance from my network that I desire. I have to agree with L&LD, i have a ton of apple stuff at home, and my new AX88U is working perfectly, it is the replacement for the 66U. 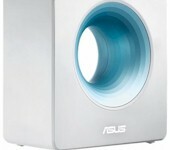 Used to have apple routers, but the support from asus is a million times better. Also i get to configure my own router, install custom firewall rules, etc. its a win win. My household is dominated by iOS devices/Macbooks/PCs, and I have not experienced any problems with my 86U. I jumped onto the Asus/RMerlin boat, after experiencing issues with my R7000 unable to keep up with our demands and older technology. I keep the R7000 (factory fw) to use outside as an AP for the summertime. I recommend my vanilla setup to other people looking to upgrade their equipment to newer AC standards, due to the RMerlin fw and the numerous scripts available. Edit: For reference I have 1Gb/40MB from my ISP.